Heck of a deal they are offering. $15 Club seats with buffet included. I bought a pair of club seats. $30 total no fees. ****, that is a deal. I hope Bulls fans show up. No email for me. Is it on the USF Athletics site? I'm trying to track it down. Nada for me either. But I'd happily take them up on that offer. The first step is contacting said fans. My email came from the Alumni Association. Maybe you have to be a member. I was able to log into my USF acct and enter password BULLS. I"m an AA member and got no email. Can you provide a link where you bought these with the password? I'd love to buy 2 $15 club seats. 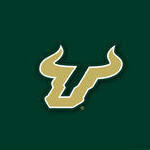 The link brings you to your usf acct. Where your season tickets are. Bummer. When I log into my account and put in the promo code BULLS the only game that displays is WBB vs. Tulsa and not MBB vs. Temple. Anyone have any ideas or anyone have club/buffet tickets they're willing to sell for $15 each? Thanks!